Ripe figs, oyster shots, smoked salmon, happy guests ... get your Christmas party off to a good start, writes Lynne Mullins. 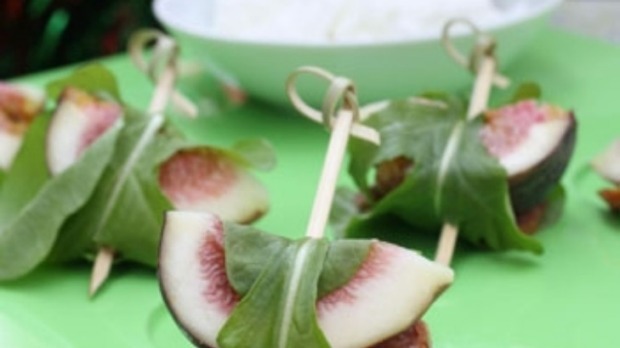 Place 1 piece of fig and 1 slice of pepperoni on 1-2 rocket leaves (depending on size). Roll leaf and secure with a toothpick. Repeat with remainder. Serve canapes with a dollop of goat's curd. These canapes can be assembled on the morning of the party and refrigerated covered.